Sprouting Value Index (SVI) proposed by Justin R Nayagam is the first equation for assessing the quality of clonal vegetative planting material in the field of cultivation. There are several mathematical expressions to measure the quality of seed germination but mathematical expression for determining efficiency of clonal propagation is for the first time. In his work Justin incorporates VP (Viability percentage), which is very effective in assessing the field-oriented defects during experimental trials. SVI and VP are integrated measure of planting material quality. The speed of sprouting/rooting ability along with the completeness of sprouting can also be determined by using SVI concept. Increased percent of CWR (callus without rooting) and SUP (sound unsprouted propagules) indicate defects in management practices, dormancy and or the genotype of the cultivar. 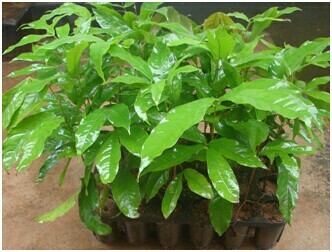 In this paper the vigor of indole 3-butyric acid (IBA) in inducing rooting of stem cuttings and the suitable sprouting/rooting medium was performed in Saraca asoca a tree species indigenous to tropical India. Saraca asoca (Roxb.) 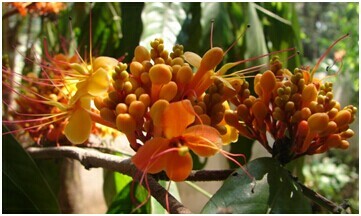 de Wilde is an enlisted medicinal tree species with astringent bark, which is reported to have stimulating effect on the endometrium and ovarian tissue, and is useful for treating menstrual pain and menorrhagia due to uterine fibroids, leucorrhoea, and internal bleeding and haemorrhagic dysentery. 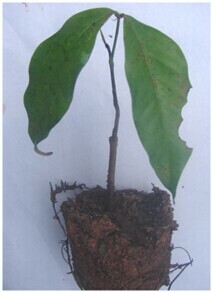 The data obtained from three-year experimental study in T.C Joseph Memorial Botanical Garden, Department of Botany, Union Christian College, Aluva, India, was used for explaining SVI and VP. 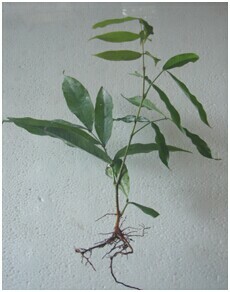 The results obtained indicate high SVI, when root cuttings were planted in root trainers with coir pith compost for all the three concentration of IBA applied. The use of coir pith as rooting media increased the SVI and reduced the percentage of CWR and SUP. Dr. Justin R. Nayagam, Assistant Professor, Department of Botany, Union Christian College, Aluva-2, Kerala State, India. Dr. Mani Varghese K. I., Research Guide, Department of Botany, Union Christian College, Aluva-2, Kerala State, India. A paper about the same appeared recently in American Journal of Environmental Protection.